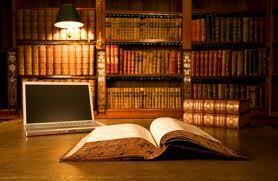 An agent is always allowed and permitted to make and set forth the pleadings on behalf of his Principal in India. Therefore, deposing on behalf of the Principal in a court being part of exercise of tendering evidence is not a forbidden exercise to be indulged in by an agent. Such persons are entitled to be cross examined as the act and art of cross examination being essentially to ascertain the veracity of the statements/submissions made by a witness and in that process, extract the whole of the truth. Section 18 of the Evidence Act, clearly permits and allows evidence to be collected even from an agent. The power of attorney holder is not entitled to plead on behalf of the Principal, but he can only lead evidence or settle the pleading in the form of a plaint or written statement or petition. Smt. Shilpa Chaudhary v. Principal Judge, Family Court, Muzaffarnagar, 2016 (116) ALR 206. The notion of public interest synonymises collective welfare of the people and the public institutions and is generally informed with the dictates of public trust doctrine – res communis, i.e., by everyone in common. Perceptionally health, law and order, peace, security and a clean environment are some of the areas of public and collective good where private rights being in conflict therewith has to take a back seat. In the words of Cicero “the good of the people is the chief law”. “Hugo Grotius is credited with the invention of the term ‘eminent domain’ (jus or dominium eminens) which implies that public rights always overlap with private rights to property, and in the case of public utility, public rights take precedence. Grotius sets two conditions on the exercise of the power of eminent domain: the first requisite is public advantage and then compensation from the public funds be made, if possible, to the one who has lost his right. Application of the above principle varies from countries to countries. German, American and Australian Constitutions bar uncompensated takings.” Sayyed Ratanbhai Sayeed v. Shirdi Nagar Panchayat, (2016) 4 SCC 631. The principle of lifting the corporate veil as an exception to the distinct corporate personality of a company or its members is well recognized not only to unravel tax evasion, CIT v. Sri Meenakshi Mills Ltd., AIR 1967 SC 819 but also where protection of public interest is of paramount importance and the corporate entity is an attempt to evade legal obligations and lifting of veil is necessary to prevent a device to avoid welfare legislation, Workmen v. Associated Rubber Industry Ltd., (1985) 4 SCC 114. The concept of “piercing the veil” in the United States is much more developed than in the U.K. The motto, which was laid down by Sanborn, J and cited since then as the law, is that “when the notion of legal entity is used to defeat public convenience, justify wrong, protect fraud, or defend crime, the law will regard the corporation as an association of persons”. The same can be seen in various European jurisdictions. It is thus clear that the doctrine of lifting the veil can be invoked if the public interest so requires or if there is allegation of violation of law by using the device of a corporate entity. State of Rajasthan v. Gotan Lime Stgone Khanij Udyog Pvt. Ltd., (2016) 4 SCC 469.